My father is a retired goldsmith and we've been clearing his garage this weekend and come across a Polaroid Camera on which I can find no information on line whatsoever. 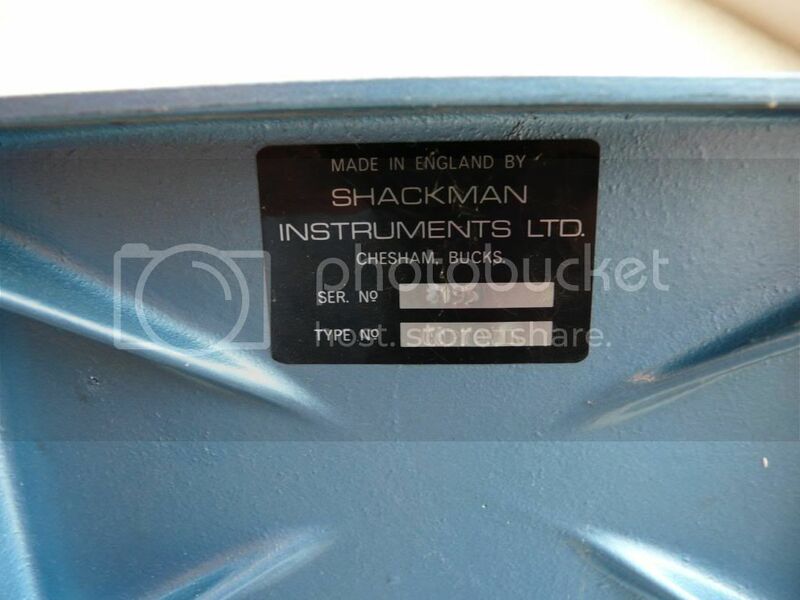 The set up is made by Shackman Instruments Limited and is branded the "Copiqwik". 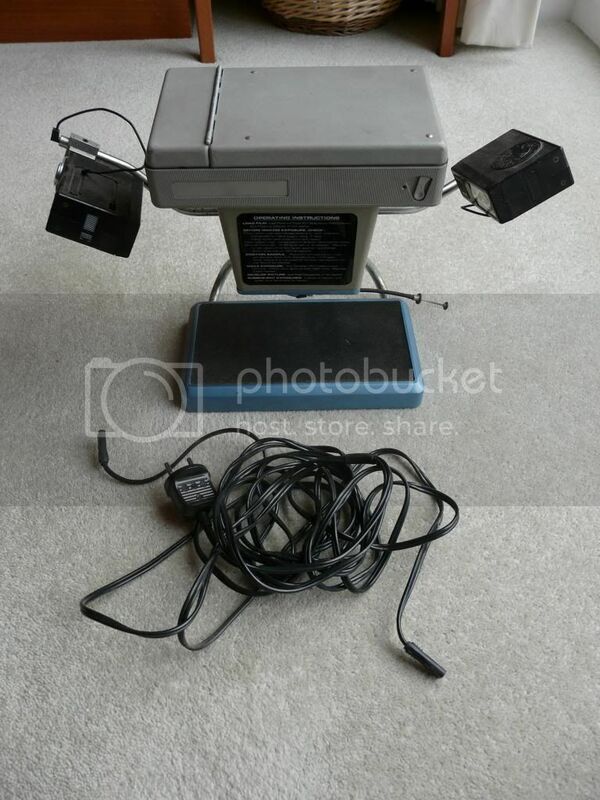 It is mains powered and was used for closeup Polaroid images of Jewelry and similar items. On each side are a flash until which are synchronised via cable. It takes 107 or 108 film. 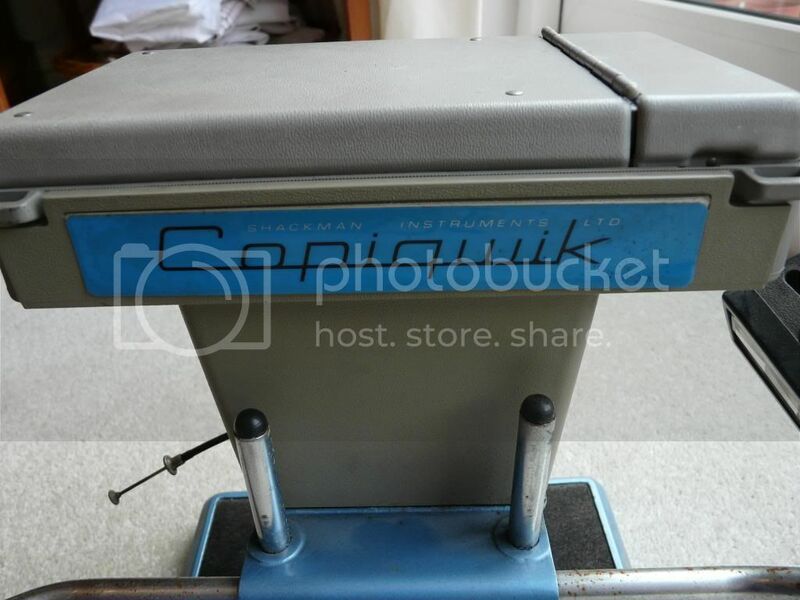 Can anyone shed any light on it's value or even how many were made, I've come up with absolutely nothing searching on Google? What a nice item ! Does it work ? Ca a l'air de prendre du pack 100 ce truc ? Alors qui va se lancer pour acheter la "bete" ? Honestly we've not plugged it in, it was in full working order when carefully packed away. 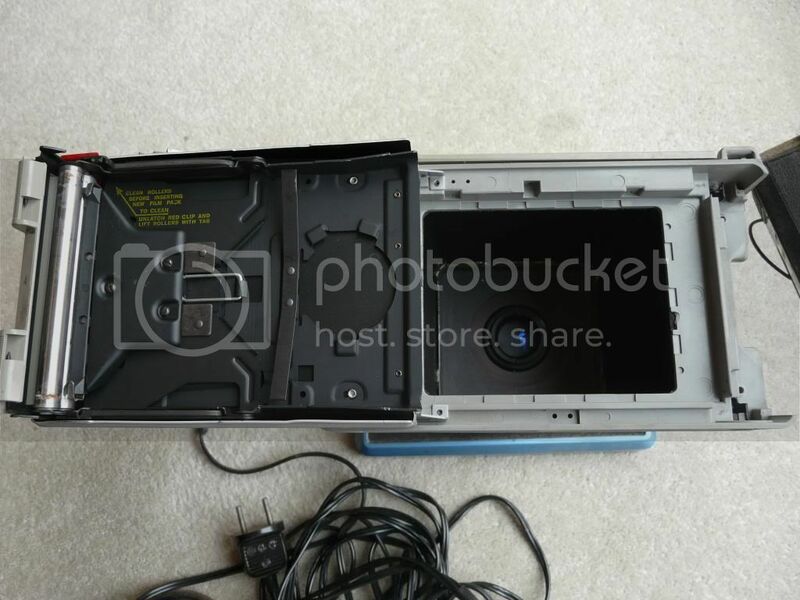 It still has the original dust cover that came with it. We have no reason to thing it's not working at all, but we don't actually have an film for it to check. it's really a nice item, I think that only a few were made. I have never come across it. 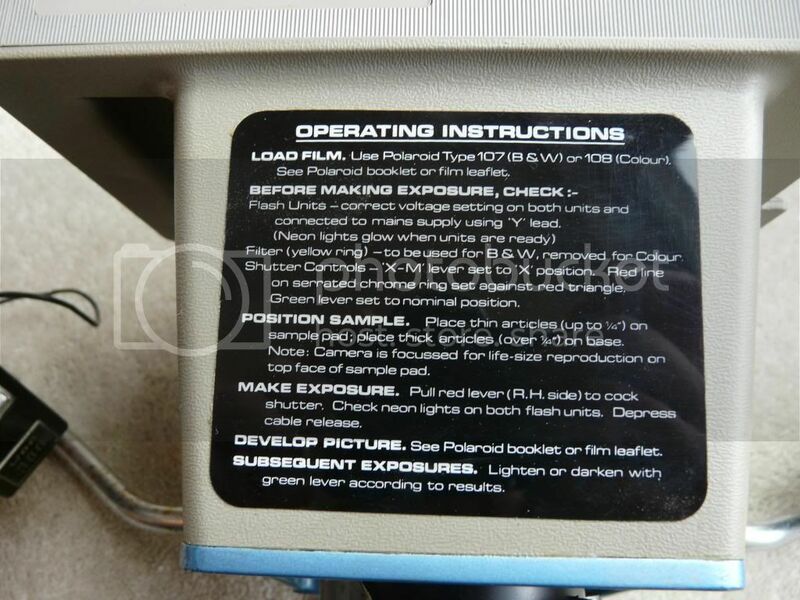 obviously it's based on a cu-5 but has 2 flashes instead of a ring flash. it takes 100 film, still available from fuji. seen it's limited use I would estimate it some 50€ (similar to a cu-5). if you would make it work and take some test shots, you probably would get a bit more from a collector. Nice information, thanks very much. If anyone else can add any more please feel free. 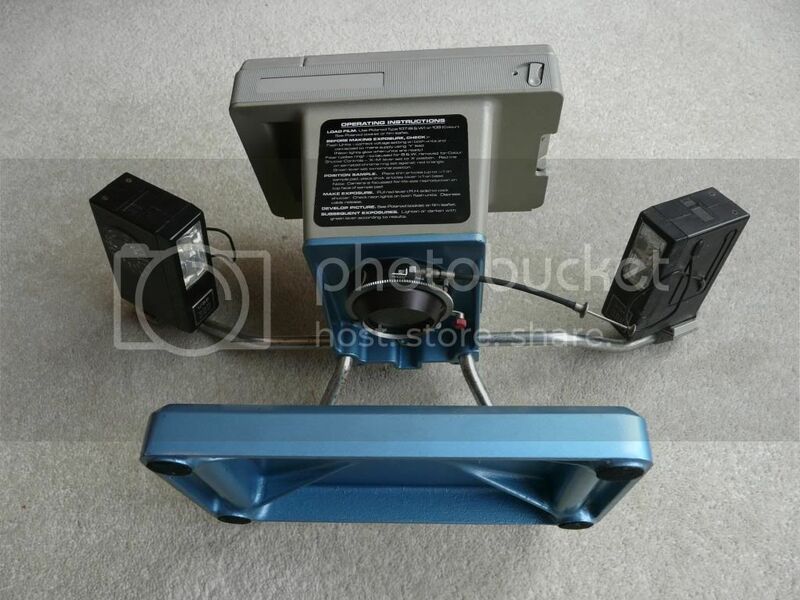 I've not been able to find out any further information about this unit at all. In my Watch list and to France please? It seems to be a Dine. The CU-5 is different.